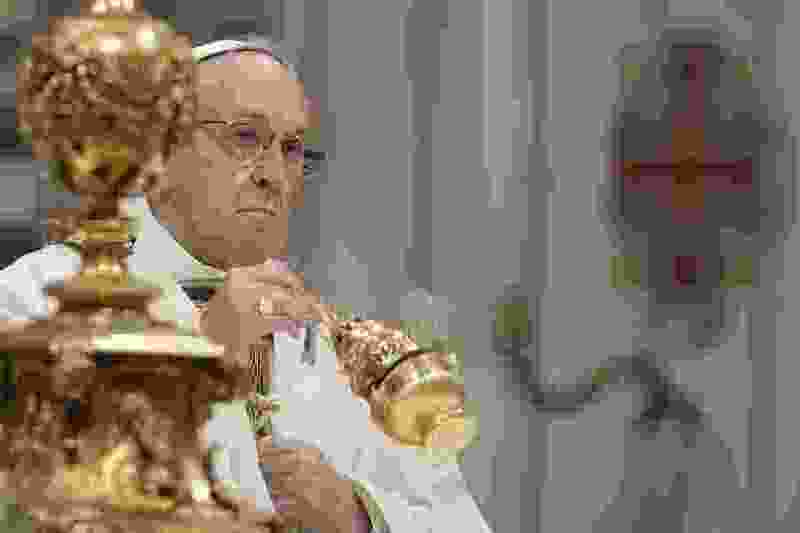 (AP Photo/Andrew Medichini) Pope Francis incenses the altar as he celebrates a Mass in St. Peter basilica at the Vatican, Sunday, Nov. 18, 2018. The word “church” has multiple meanings. One theologian counted more than a dozen ways “church” was used in the documents of the Second Vatican Council, referring to everything from a building to the Mystical Body of Christ. I remember in the 1980s taking a tour of the House of Commons in London. The tour guide pointed to a plaque on the wall in honor of a minister “who was killed by the Irish Catholics.” Not the Irish Republican Army, not the Provos, not the terrorists, but the Irish Catholics. We should not blame the people of God for the sins of the hierarchy. In many other churches, the people have some say in selecting their leadership and therefore have some responsibility for their hierarchy’s actions. Not so in the Catholic Church, where new leaders are chosen by current leaders. Using the term “church” for “hierarchy” or “bishops” is sloppy writing, and I must plead guilty. Confession is good for the soul and good for writing. I will probably fail again in the future, but we should always pause before using the word “church” to ask ourselves whether there is a better, more exact word we can use.